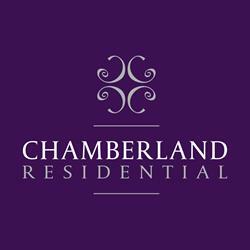 Established in 2011, Chamberland Residential is a multi award winning Estate and Letting Agent located in central Putney, SW15. Specialising in Residential Lettings, Property Management and Residential Sales, Nicole Chamberland and her team have a wealth of local knowledge and offer a different approach than most Agents. They pride themselves on their diversity, common sense, professionalism and integrity with an array of services provided for Putney and its surrounding areas. Your needs will be determined and then customised to whatever you need, so call any time for an honest market discussion or to book a free no obligation market appraisal. "I have 9 rental properties, all with Chamberland. I am very pleased with the service provided." " Chamberland continue to offer a first rate management service that gives the landlord peace of mind that their investment is in good hands." " Quick to respond, organised and effective - communications excellent. Would unreservedly recommend to others." " I have been very impressed with the level of service from the beginning. It is imperative i can trust an agent as I live in South Africa." " Always on the ball, reminding me about key dates and actions required. Very pleasant to deal with. Excellent service at modest fees." " I am so happy to have finally found, a straight forward no nonsense agent, that provides dependable advice combined with excellent service." " Excellent team. Very well run business with professional staff at every stage to help and explain. Would most definitely recommend to other people."